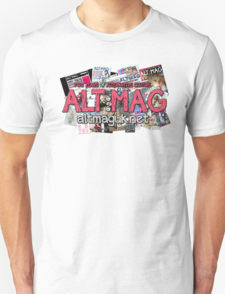 An Alternative Opinion is a weekly feature where Alt:Mag writers are given a question or topic, and submit their thoughts and opinions. 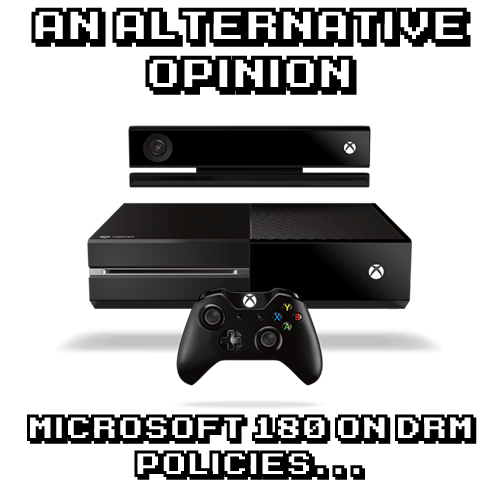 Today's topic of discussion is Mircosoft's recent announcement of their changes to their Xbox One system requirements; does it make everything okay? Should we support the system now? Aaron: So, Microsoft came out and announced that they had "listened to us" and had decided to change some of the more negative things associated with the Xbox One; no more arbitrary once-a-day online connection, no more restrictions on disc-based games, basically copying Sony once they saw how everyone adored them for coming out at E3 and not expressing pure hatred for their consumer base, unlike Microsoft's original approach with their new console. Now, while I appreciate that they did get rid of all their awful, awful ideas, I personally don't feel this information really affects me. There are only 2 things that this announcement actually changed in my mind; first, it means that the article I wrote on why you shouldn't support the Xbox One is somewhat less important and I won't care so much if someone buys the upcoming Microsoft console, and second, it opens the door somewhat for me eventually buying the console if something I really want comes out exclusively (Viva Piñata 3, basically). I'll still be picking up a PS4: it's £80 cheaper and has fantastic indie support, which matters a lot to those horrendous indie gamers like myself. My only real point about this whole issue is this: they were still planning to mess us about. It was only once people all over the world (including the military) revolted against their policies that they changed their mind. They still wanted to treat us like crap, and they may still plan to, gradually. Be wary. Lewis: Gamers won! Hooray! Do I still want to buy an Xbox One now? Nope. The only reason why Microsoft changed their minds is because we didn't want to buy their stupid console with all of its evil DRM policies, and they want to make money. They had it in mind, and they only changed their mind when we more or less had to intimidate them with our lack of buying commitment. Microsoft wanted these policies to be in place, and they won't stop doing it just because we scared them. 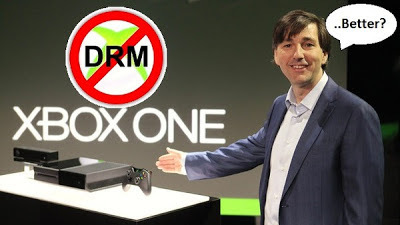 They are likely to pull some anti-consumer rubbish again in the future, and already have done by telling us that because we don't want all the always-on and DRM stuff on our Xbox One, it now means we can't have family sharing features and digital mirroring of retail games is out. This isn't something that the console does as a response to taking away these things, this is something they have chosen to punish us with instead. Personally I think that Microsoft has damaged the Xbox One's image too much with everything that has gone on in the past month or so. I'm pretty sure that people who have already pre-ordered a PlayStation 4 are most likely to stick with it, and I am sure they are feeling a bit wary about even moving towards the Xbox One after all the bad press it has had. They just can't trust it enough to even try to give it a chance. That's what happens when you go out of your way to screw with the consumer, Microsoft. So, what do you think of Microsoft's sudden change of heart? 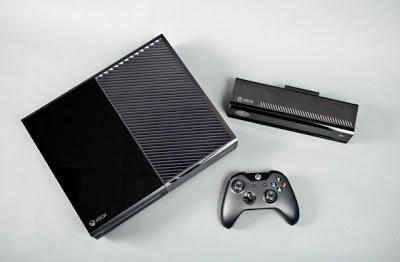 Do you think you want to support the Xbox One now? Do you still feel a little bitter about the system? Let us know in the comments section below or by our Facebook or Twitter page.